The Southeast Museum of Photography and the Daytona State College Center for Women and Men are pleased to present the work of Jan Goff-LaFontaine. An exhibition of images from Jan's portfolio Women in Shadow and Light, will be on display at the Southeast Museum of Photography from Tuesday March 6th through Saturday April 14th. Women in Shadow and Light: Journeys from Abuse to Healing by Jan Goff-LaFontaine. Forty women—ages nineteen to ninety-five—bared body and soul to express their triumph over trauma. 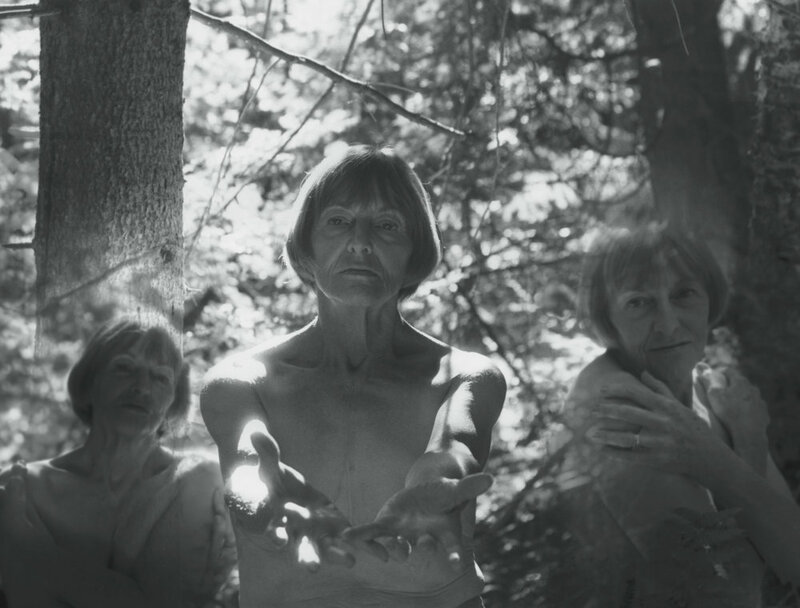 In this daring approach, fine art black and white photography combines with moving interviews to portray the essence of each woman’s journey from the violence of abuse to transformation and healing. This is the most hope-filled book you will ever read about abuse and recovery. This project began in rural Wisconsin, first as a photography exhibit, Out of the Shadows, then leading Goff-LaFontaine to subjects nationwide. Women in Shadow and Light is a celebration, in words and photographs, of women from every walk of life, who have found strength and transformation on their journeys of healing after abuse. Some are famous, like Laura Davis, co-author of The Courage to Heal, but most are ordinary, extraordinary women who create a sisterhood of healing, for themselves and others, by daring to speak out. Each woman helped to create her portrait as her personal symbol of healing, often focusing on one aspect of her body she felt best expresses her emotional healing journey. Using art to create social change, within individuals and their communities. Photography and writing allow me to connect deeply with others, and to be an agent for social change and healing. My exhibit, OUT OF THE SHADOWS, is an intimate photo essay focusing on this connection we all have to each other, and our capacity for healing. This exhibit was the genesis for the book WOMEN IN SHADOW AND LIGHT: Journeys From Abuse to Healing. My background in social work draws me to subjects that utilize art to touch on social issues, yet highlight the positive and enduring qualities of the human spirit. My first book, REFLECTIONS BETWEEN THE LINES, traced the post-war passage of Vietnam veterans from trauma to healing. In OUT OF THE SHADOWS and WOMEN IN SHADOW AND LIGHT, I celebrate the strength, courage and beauty of women who are survivors of physical and sexual abuse. I do not use my art to depict victimization, anger or abuse, but rather to capture the essence of the women’s emotional and spiritual journeys of healing. Every image is a collaboration between artist and subject, offering us each woman’s personal proclamation of hope, healing and transformation. I find my inspiration in these quiet heroines, and my challenge in creating beauty from the ugliness that life sometimes gives us. Michelangelo once said he saw the angel in the marble, and carved until he set her free. I see the beauty in my subjects, and they offer me a gift in our intimate connection, allowing me to shine light on their shadow side and set their inner beauty free. I honor that gift as I work from my heart. Visit Jan's website for more information.